Many of our pregnant patients in Barcelona have experienced some problems with their teeth and asked us about the most common problems and how to prevent them from happening. Independent studies show that out of 100 pregnant women, 67 will experience problems with their teeth and gums. A wide range of nutrients is required for a healthy development of the fetus and calcium is one of them. Along with other substances, fetus gets calcium from mother’s food. If mother’s diet lacks foods rich in calcium, then it starts getting it from teeth and bones. . Calcium deficiency can result in the deterioration of tooth enamel, therefore, the daily menu should be carefully thought out. Snacks, especially between lunch and dinner, are absolutely unacceptable. In addition, most women experience an increased risk of gingivitis and cavities during pregnancy. Caries is a disease that destroys the upper layers of the dentin: the affected areas increase due to continuous attacks of acids, as well as due to the vital activity of accumulating bacteria. Morning sickness is often accompanied by vomiting, which, in turn, exposes teeth to the gastric acid. Gastric acid is quite aggressive to the enamel, thus expectant mothers get caries more often. If possible, morning sickness should be prevented with prescribed drugs. In case of nausea and occasional vomiting, it is recommended you rinse your mouth with water and abstain from immediate brushing (it won’t do any good to the enamel, softened by the acids). During the second trimester or when the oral hygiene is neglected, small red lumps (epulis) may appear between the teeth and gums. They are harmless and if they do not disappear on their own, they can easily be removed by your dentist. Gingivitis during pregnancy is even more common than cavities. Symptoms most often occur in the second month of pregnancy and peak during the eighth month: reddened, inflamed and swollen gums that bleed heavily. It would be advisable that expectant mothers supplement brushing with frequent rinsing decoctions made with blackberry leaves or fir. 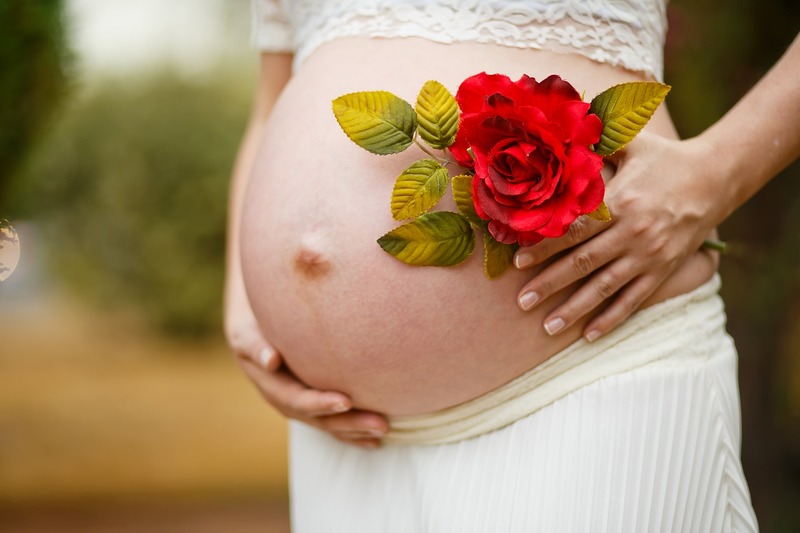 What is the cause of gingivitis during pregnancy? This disease can occur due to the increased levels of progesterone and its effect on blood microcirculation, as well as due to the changes in hormones. Neglected hygiene can also aggravate the symptoms, thus, it is imperative to brush your teeth with a soft toothbrush and a toothpaste rich with fluorides. The same can be said about flossing and the use of the mouthwash. Do not forget to visit your dentist, especially in the 1st trimester, as most of the procedures are tolerated easier. You can contact us by phone 633 312 126 (whatsApp). Plan your visit today to keep your teeth healthy during pregnancy!